Perpetual means constant and never ending. Perseverance means continuing forward regardless of the difficulties or pitfalls in the way. The idea of perpetual perseverance means that despite the difficulty in achieving a goal, there is an endless effort to try to reach it anyway. Sounds exhausting, right? Many women struggle throughout their lives with self-deprecation and self-doubt, and I believe these tendencies worsened after becoming mothers. There are countless motivational speakers and self-help books addressing this subject and highlighting the need to love ourselves. As recovering a Momma Addict, I reflected upon my journey as a young woman who entered a fulfilling career as a physician and then tried to find balance with becoming a mother. 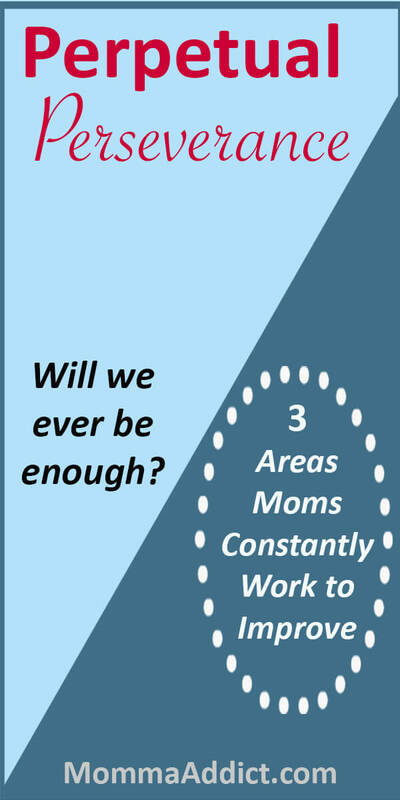 Three major areas continually exist where I, and perhaps other mothers, became trapped in a perpetual perseverance loop of self-improvement. To be clear, the topics I highlight are not novel and impact everyone to some degree; however, the emotions and reduced self-esteem are amplified in mothers. ‘Chub’ might as well have been ‘Deb’. It was me. I was often the chunkiest of my friends. During high school, I participated on the elite Pom Pom squad. Most of my squad-mates were tall and thin with long legs that looked stunning while doing synchronized ‘can-can’ kicks! Meanwhile, my chunky ‘twin’ and I were positioned on the far ends of the line-up with our short stubby legs. We were affectionately known as the “bookends”. I’m still a book end. I have always obsessed over my body despite my ability to intermittently diet like a pro! (Hello tiny wedding dress!). After motherhood, I obsessed even more because whatever issues I previously had with my body were dramatically magnified. I now look back at old pictures and long for my “good old fat” days! I love that there is now a strong emphasis on loving your body, which is critical for mothers who are adjusting to a new motherly body. Additionally, a greater sense of achievement and pride occur when a mom is able to successfully transform her body into one that is the envy of others. Having delivered a child, this feat is more difficult. Just beware of letting this obsession take over your life. As young girls, we go to school and dream about we want to do with our lives. Many of us work in our dream jobs, and others are still searching for their specific passion. Most of us have worked at some point. And then we get married. And have kids. This is where the shift occurs. Do we continue working because of our passion for our job or out of financial need? Should we stay home and dedicate our time to raising kids, making our children our life’s work? These are personal decisions and each of us has a different answer. However, some of us do not get to choose. Perhaps you had children before completing your degree and securing your dream job. Perhaps financially you needed to stop working because the costs of childcare made working outside of the home an unacceptable option. Many women successfully stayed at home to raise their children but repeatedly had concerns about not completing their education to the level they desired. I am in awe of the 50-year-old woman earning a law degree or Ph.D.; however, many of us feel it is too late to go for our professional dreams. It is NEVER too late! Be sure that you feed your passion and not just conquer an old goal. If you no longer wish to become a lawyer, then cross that off the list. Perhaps you became a mompreneur out of necessity for better hours to be with your kids, but if it is not fulfilling you, go ahead and make a change after your kids are older. As I near the end of my medical career, I look to the future. My next chapter is based on becoming a content creator because I was bitten by the blogging bug and am excited to launch a podcast. You see, I have always been obsessed with writing and dreamt of writing novels. In fact, I have a paper file folder (yup, I still use paper) filled with book plots and children’s book series that I have outlined to write “one day”. I may yet work on that dream but for now, this will do. No matter how old you are, or what you have done, it is never too late to do something fulfilling for yourself. When the time is right, find your passion. There are more chapters left in our lives, and we need to fill them with meaningful adventures! This topic spurred the creation of my blog, and is Momma Addict in a nutshell! I struggled to live each day without concerning myself with the daily welfare, happiness, and success of my adult daughters. From preschool to college, I lived in a physical ‘mommy network’ where we bounced ideas and thoughts off each other, in real life. The common thread was a constant worry about choices we were making. Were they the right ones? Would they cause permanent harm to our children? We all end up finding ways to cope with these fears and concerns. With the massive increase in social media, mothers are not only comparing themselves against the mommy’s in their physical network but also virtually comparing themselves in a global mommy network. Extreme pressure. “Routine and boring”do not perform well on social media. So yes, have fun on social media but take care to not actually internalize what you see. It is often not real, and you cannot validate the claims people make. Increasing your physical mommy network will empower you. You will forever be faced with decisions about homeschooling or private vs public school. How many extracurricular activities are enough or too much? Are you doing enough to expose your child to the real world? Are you doing enough to teach your child about inclusion and acceptance? Mothers should focus on raising kind kids. The academics will come, but we need to put more effort in teaching our kids to care about people. All people. 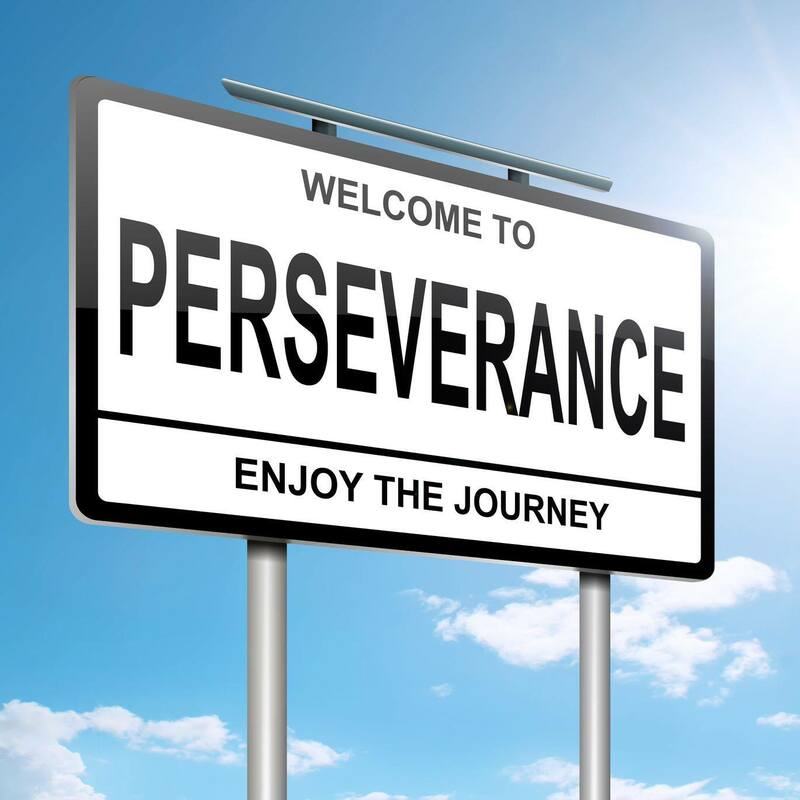 Take a minute to assess your level of perpetual perseverance. And now accept that there truly is not an end or final attainable goal. Enjoy where you are and the journey ahead.